A vile abuser who stalked, abducted and attacked three women over the course of more than 20 years was today jailed. Steven Carr will serve a four year seven month sentence over a campaign of “cruel and controlling” assaults and harassment on women. One of the women was repeatedly locked in a house with no means of getting out or communicating with anyone outside. Carr subjected her to seven years of brutal attacks before she finally escaped their relationship. But within months Carr had moved on to a second woman who was the subject of a string of assaults and threats over the course of two years. In one incident in February 2007 Carr broke into her home and dragged her from her bed to assault her. Then in 2017 Carr fell into the same pattern with a third woman – subjecting her to brutal assaults and stalking her even after he had been locked up in Perth Prison over allegations made by her and other women. In all three cases vicious Carr threatened to kill the women’s dogs during his rampages. He was finally brought to justice when the women came forward, sparking a probe by the police’s domestic abuse task force. A sheriff today branded Carr’s abuse “co-ordinated and systematic” and sentenced him to 55 months in prison. Carr was also banned from contacting the women for 10 years. 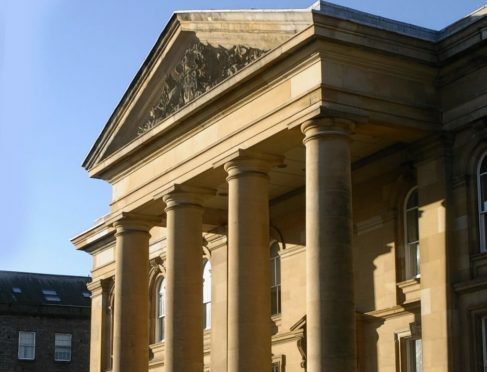 A jury trial at Dundee Sheriff Court heard of a catalogue of abuse against the first woman at addresses in Dundee that involved threats and beatings and a series of abductions. The second woman was subjected to repeated violent threats by text message and attacks in which she was pulled down stairs, thrown against cupboards and kicked. The third woman was repeatedly attacked in a similar way – in one instance being pulled by the hair from her bed before Carr attempted to strangle her. He later threw a lamp off her head in another incident. A further attack saw Carr whip her with a dog lead. Carr was reported to police last year and was initially released on bail banning him from going near his accusers. But within days he had breached it and ended up remanded in custody pending trial. Despite that he continued to harass the third woman – stalking her from his cell at HMP Perth. The court heard before his remand he had gone through her phone checking the data before smashing it on the ground and accusing her of seeing other people. Carr also smashed windows at her home and forced a bedroom door off its hinges. Then, after his remand, he bombarded her with phone calls and letters. Carr, 38, of Dundee, denied a total of 20 charges of abduction, hamesucken, assault, stalking and breaching bail. But following a week-long trial he was convicted of a total of 18 charges. Defence solicitor Paul Parker Smith urged the court to impose a community based sentence. He said the brute had never been given the opportunity to work with social workers when he was convicted of previous similar offences. Sheriff Alastair Carmichael jailed Carr for 55 months and imposed a 10-year non-harassment order banning him from contacting or approaching the women in any way. Detective Inspector Muriel Fuller, of Police Scotland’s Domestic Abuse Task Force, said: “Following his sentence today, Steven Carr must now face the consequences of his horrendous behaviour. “The victims who he offended against should be commended for their courage in coming forward. “Their bravery throughout this process has directly led to the conviction of this cruel and controlling individual. “His conviction and sentence gives a clear message that domestic abuse will be thoroughly and robustly investigated by Police Scotland. “Nobody should have to suffer abuse in a domestic setting or at the hands of a partner.